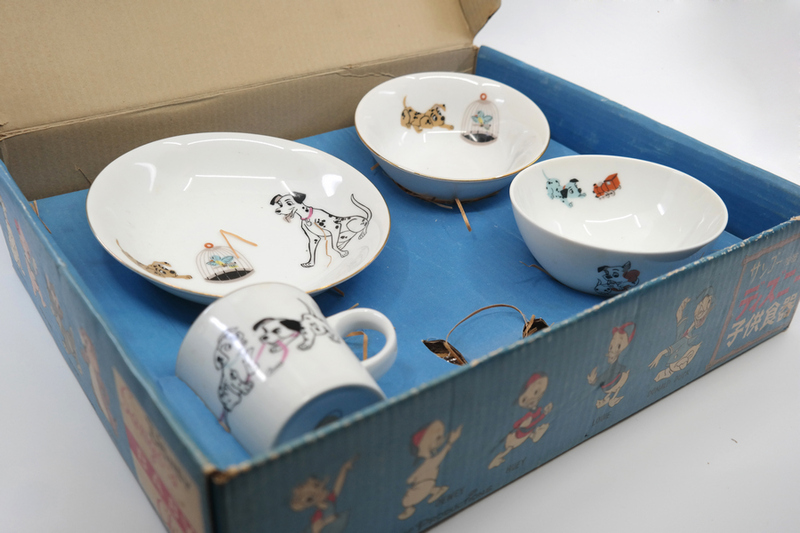 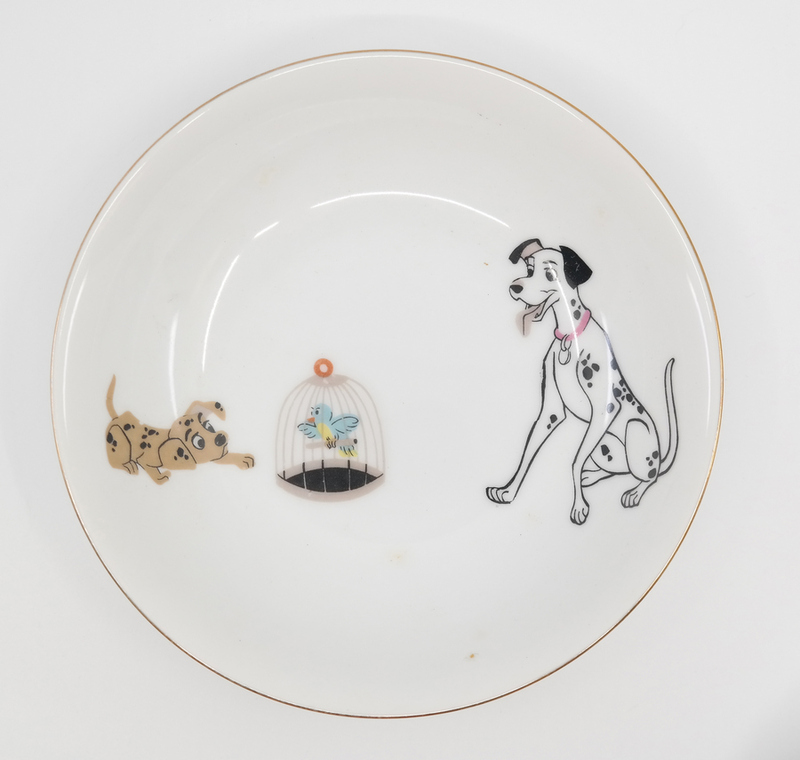 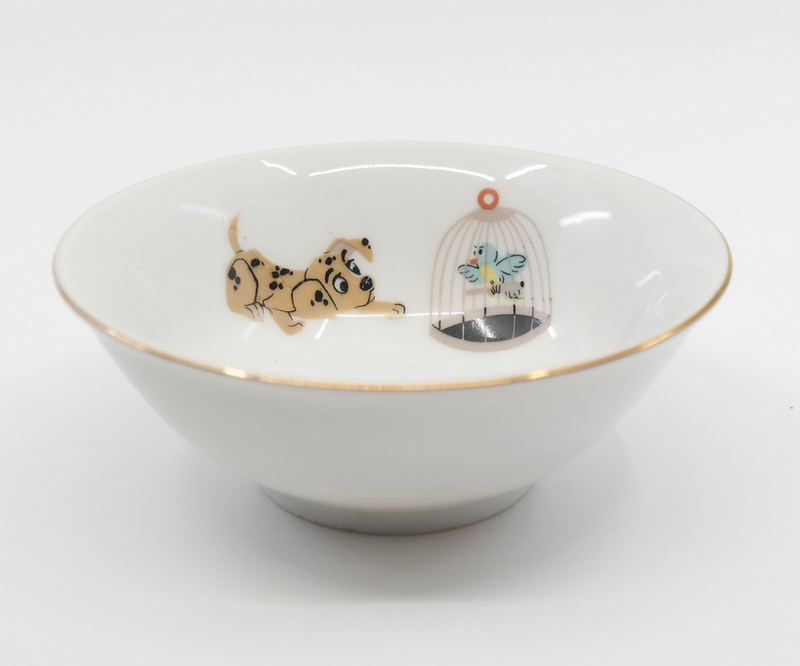 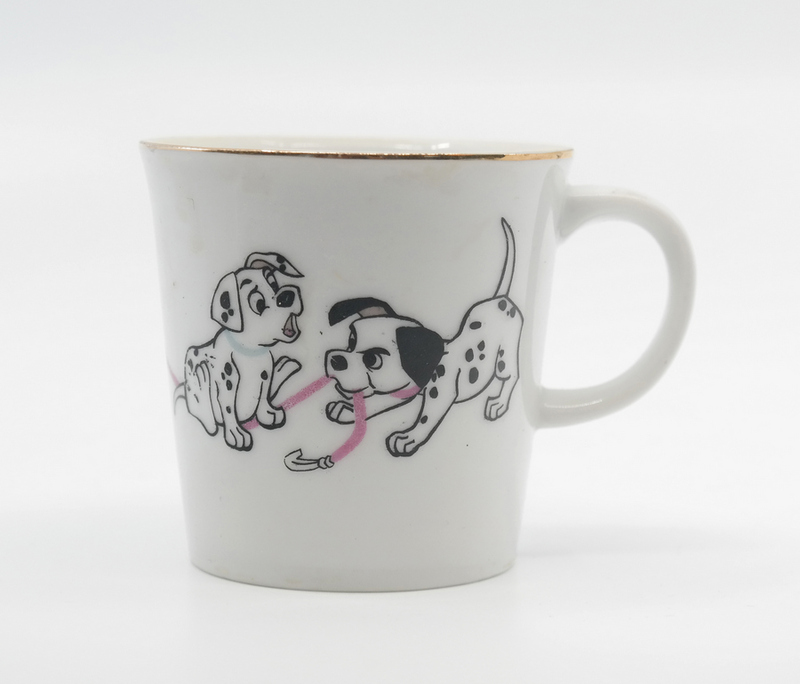 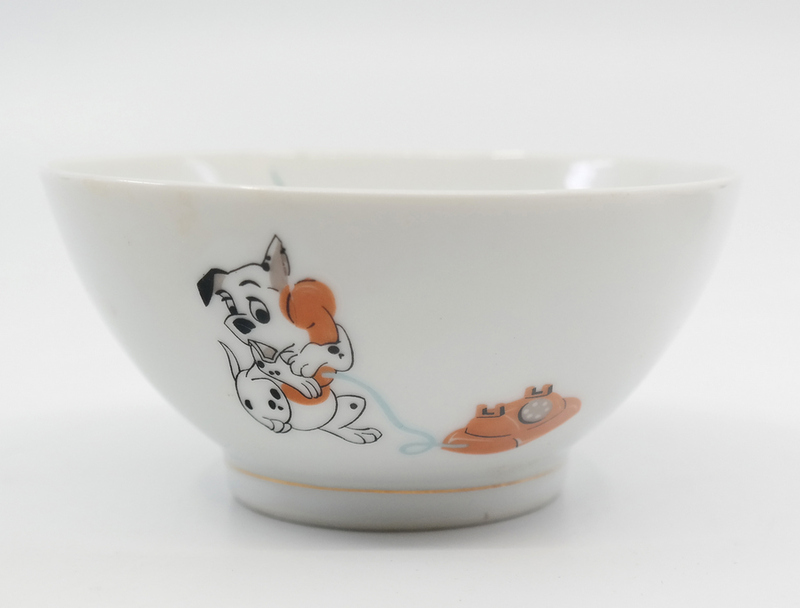 This is a near complete set of children's ceramic dishes featuring image from the Walt Disney classic, 101 Dalmatians. 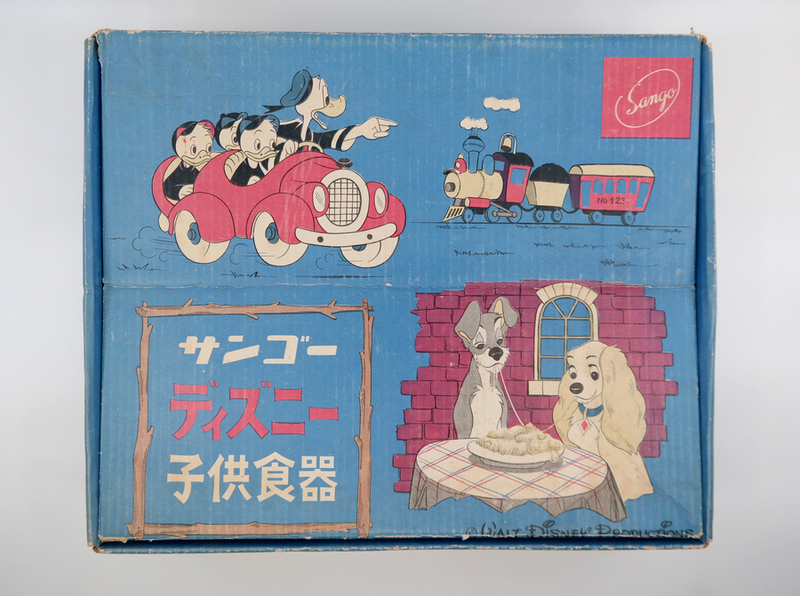 This set was actually made in 1959, prior to the release of the film, and the set includes the original box from the manufacturer, Sango. 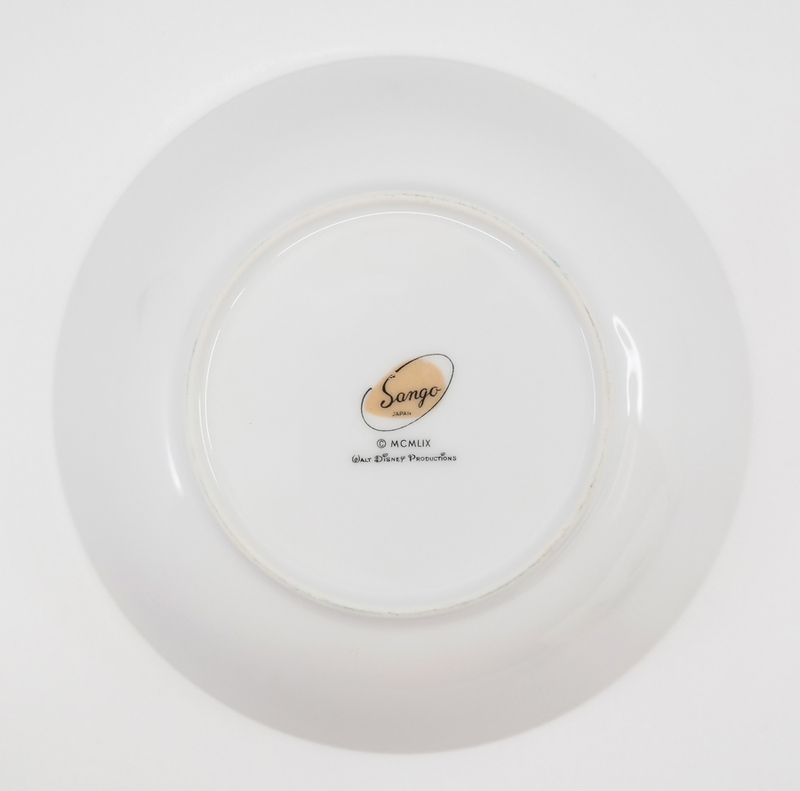 The set includes a large bowl that measures 6" x 6" x 1.25", a medium bowl that measures 4.75" x 4.75" x 1.75" , a small bowl that measures 4.25" x 4.25" x 2" , and a cup that measures 2.75" x 3.5" x 2.75". 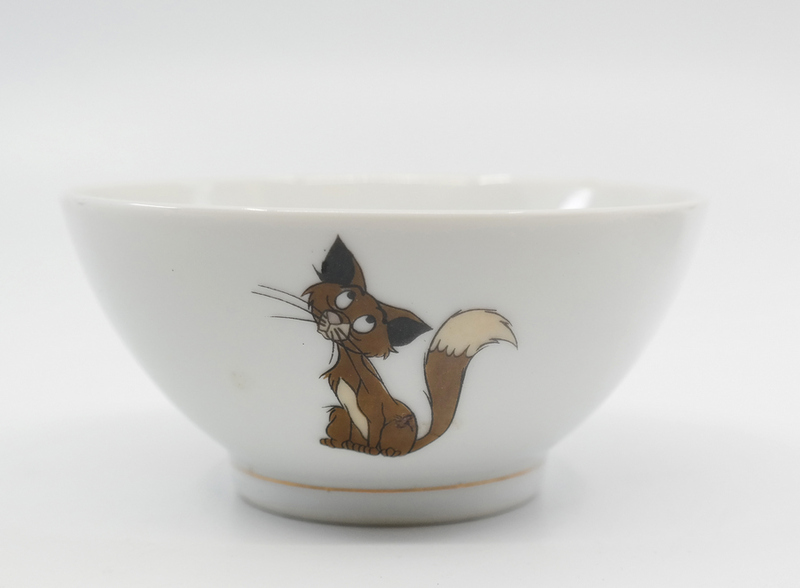 It appears to be missing an additional cup.